Brooke of Be Fed Again is back this week with another great recipe for us! 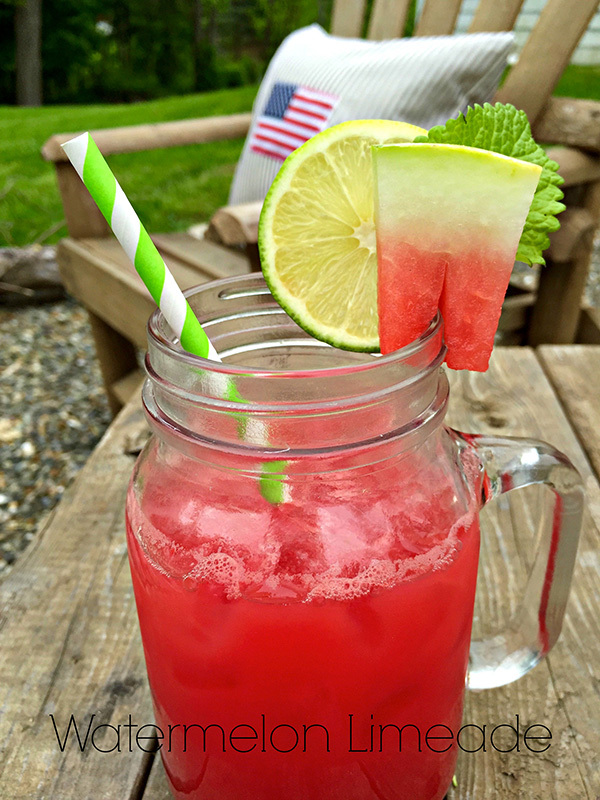 Just in time for Summer, it’s a simple recipe for Watermelon Limeade. Perfect for a backyard barbecue with the family! Stop by the twitter or facebook page and let us know if you try this recipe out. Enjoy! Put watermelon chunks into food processor and process until mixture looks soupy. Place a strainer over an empty bowl. Pour watermelon mixture into strainer, and strain out all of the juices, pressing on the solids. You should have 4 cups of strained watermelon juice. Discard the solids. Stir in lime juice and simple syrup. Serve over ice and garnish with fresh limes, watermelon, and a mint leaf. If you missed Brooke‘s recipe for orange-cranberry scones, it’s a great one to go back and check out. See you all on Friday!